We have some indication as to what director Cary Fukunaga has planned for his version of James Bond 25. The True Detective and Beasts of No Nation filmmaker was brought on board the somewhat troubled project after Danny Boyle (Slumdog Millionaire) departed several months before shooting was set to begin. Fukunaga was then hired by producers Barbara Broccoli and Michael G. Wilson to helm what will be Daniel Craig's last go-around as 007. During a recent interview, Cary Fukunaga disclosed what he could about James Bond 25. He initially boarded the project in September and has been re-developing the story alongside veteran franchise screenwriters Neal Purvis and Robert Wade. Fukunaga, first of all, explained that he intends to continue the story that started back with Daniel Craig's first Bond movie, Casino Royale, as opposed to making this feel like more of a standalone. Here's what he had to say about it. "In his first Bond movie, Casino Royale, he brought an incredible amount of vulnerability and humanity to the character, which was a big shift from Pierce Brosnan's run. In terms of what I can bring to change the character, Bond is on a character arc that started with 'Casino Royale,' and I will be carrying that on. There will be changes, I am sure. As in any story, a character has to change in order [to have] a narrative." The Daniel Craig era of 007 has been much more serialized than previous iterations. That has led to, in equal measure, some of the best and some of the most frustrating stories in the franchise's very long history. Skyfall being a high point and Quantum of Solace being a low point in the general view of moviegoers and critics, for example. As for previous rumors that Christoph Waltz may not return as Blofeld, in addition to Ben Whishaw possibly not coming back as Q, Cary Fukunaga dispelled any such notion. "We haven't finished the screenplay, so there is no way that anyone could know that. Those are two extraordinary actors, so if there is space for them in the story, I would absolutely want them there. But I don't know yet what it's going to be." It sounds like basically any previous rumors need to be thrown out. So Q and Blofeld, as well as characters like Felix (Jeffrey Wright) could easily return. Lastly, the director addressed the possibility of seeing some of the class tropes associated with Bond showing up in his movie. "Yeah, there will be the things in the Bond-verse that you have come to expect. I can't say too much, though." 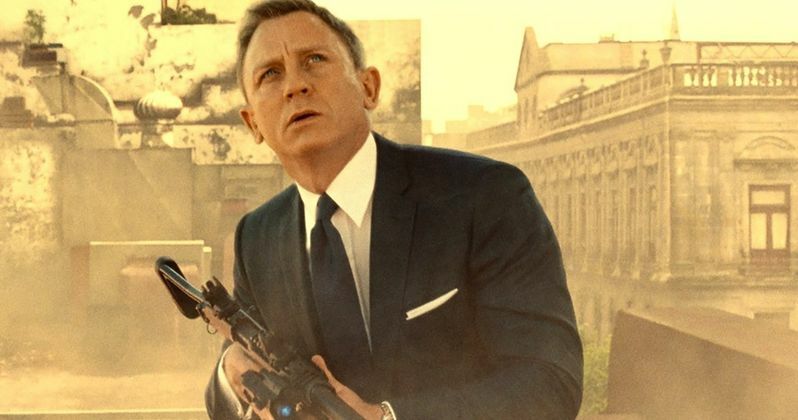 Originally, James Bond 25 was scheduled to arrive in theaters in November 2019. However, that was delayed once Danny Boyle departed, meaning we won't see Daniel Craig's swan song as the iconic MI6 spy until sometime in 2020. Production is expected to begin in the first half of 2019, but no production start date has been revealed yet. This news was first reported by Inquirer.